RSS syndication – news can travel everywhere quickly. Human voice – None of the “royal we.” There is a human talking to other humans. Conversation – People reading the news could give their feedback through comments and trackbacks. Blogs as the new press release – RSS, tagging, two way conversation?. Can this be what God and Madison Avenue intended a press release to be? 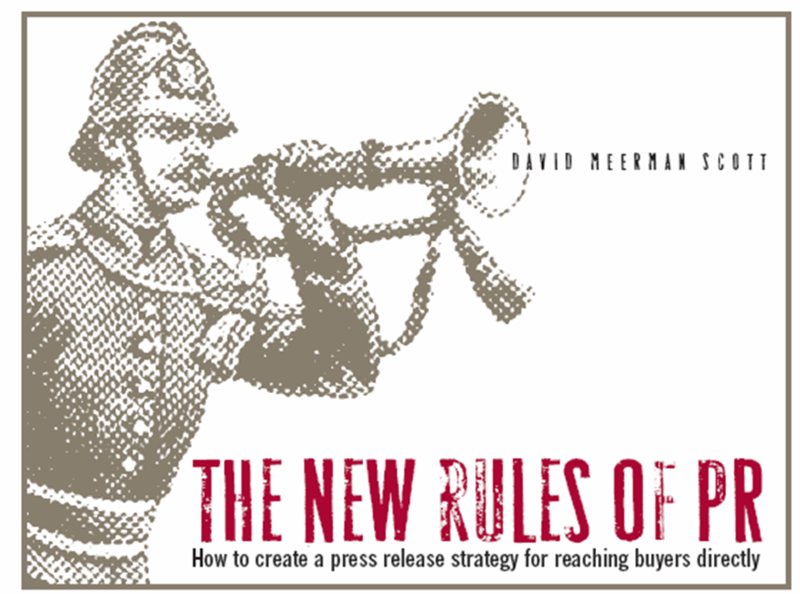 Shouldn’t a press release be a carefully crafted message to gain the attention of the media? Perhaps in the days of the Organizaiton Man and Mass Everything. But today we live in an age of limited attention – what Rubel refers to “Attention Crash.” We are over messaged. Filters have become more important than messages. RSS is a kind of filter, as are social networks. So what to do if you’re a pubisher who wants to get the word out. Provide information and let the crowd interact with it, tag it and share it through sites like Digg. The blog functions as a continuously operating online press room and news archive at the same time. Expect great things of the Web 2.0 press release. Just not the same things of days gone by. The press release is dead! Long live the press release!